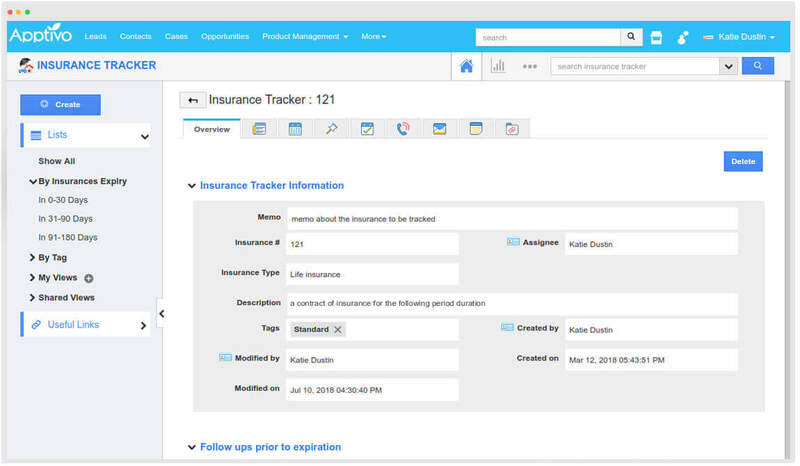 Store, Manage and track all your insurances utilizing Apptivo Insurance Tracker Application. 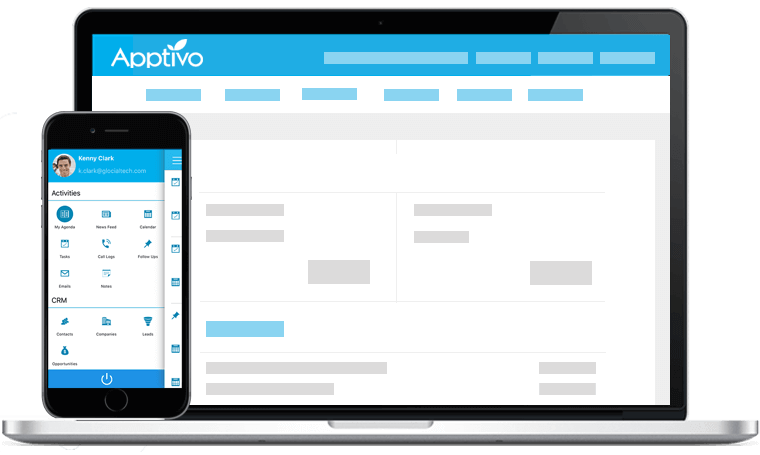 Create Insurances needed for your business - Manage it regardless of where and when insurance is to be renewed - Categorise it according to their types - Track the reports of your Insurance - Everything using Apptivo Insurance Tracker. 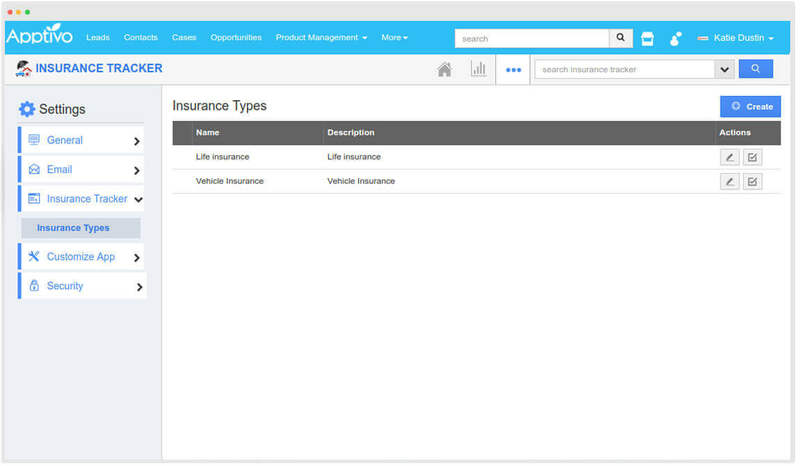 Provide a memorandum and the insurance types with their renewal information to create a new insurance. Initiate follow ups before the expiration date. 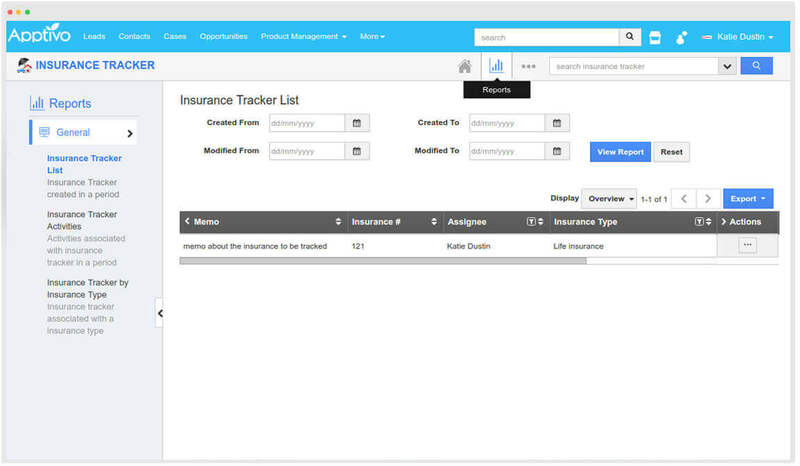 Have a general summary of all your insurances and their associated activities created within a specific period and export it for future feedback and reference. Not mindful of how to aggregate your insurance, no worries, make your own insurance types and organise your created insurances accordingly. 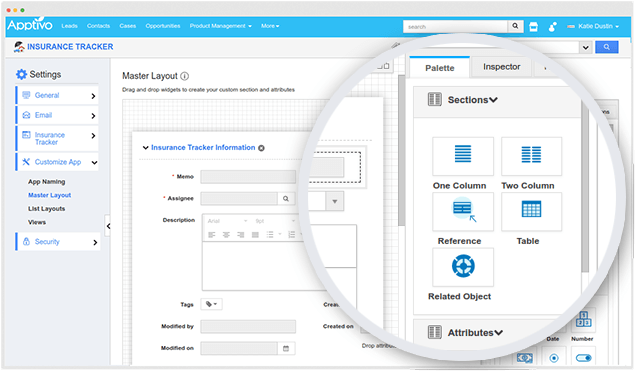 Get your app a different layout with various custom fields with different styles and behaviour. Change the view of your app page if needed.